Situated in Ipoh town , the built up area is five acres. 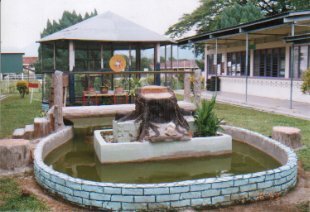 It was established on 11 January 1954 and known as ‘The Government English School, Pasir Puteh Road, Ipoh‘. At that time, the enrolment was only 300 pupils studying from Standard One to Standard Three, inclusive of two ‘Special Malay’ Classes. There were only 10 teachers and the first headmaster was Mr. N. Caleb. It started as a school for boys only, but in 1957, girls were also allowed to study in this school. On 7 February 1955, 11 more classes were built. A hostel was also built to cater for pupils from rural areas. In 1971, it changed it’s name to ‘The National Type Primary School, Jalan Pasir Puteh, Ipoh’ . Not long after that, the Board of Governors and the Parents-Teachers Association decided to change it’s name again to Sekolah Rendah Kebangsaan Raja Di Hilir Ekram, Ipoh which was named after the DYAM Raja Di Hilir Perak, who gave his consent at that time. On 1 January 1985, two new blocks were built to cater for an enrolment of 1500 pupils. 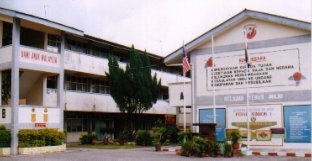 The old block was given to Sekolah Menengah Kebangsaan Jalan Pasir Puteh, Ipoh. 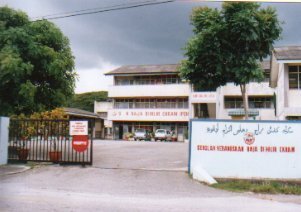 In 1998, Sekolah Rendah Kebangsaan Raja Di Hilir Ekram, Ipoh was changed to Sekolah Kebangsaan Raja Di Hilir Ekram, Ipoh by the Ministry of Education.